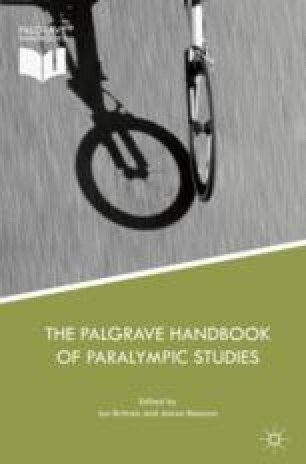 The aim of this chapter is to highlight that even the Paralympic Movement is not immune to international politics and in particular the boycott agenda by outlining the case of South Africa during the apartheid regime of the 1960s, 1970s and 1980s. The story of South African participation in international disability sport, long beyond the expulsion of its Olympic team from the Olympic Games, is extremely complex with numerous individuals, organisations and issues all playing a part. The chapter will begin by describing why apartheid was such a major issue and the impact reactions to it, in both South Africa and around the world, had on South Africa’s involvement in international sport. It will briefly outline South Africa’s participation in both the Olympic and the international disability sports movements. It will then highlight some of the key reasons for the differences between the two, and look at some of the possible reasons why South Africa was able to continue competing in international disability sport despite their expulsion from the Olympic Movement. This chapter was originally published in the Sport in Society journal, 2011, Vol. 14(9); p. 1167–1183 (http://www.tandfonline.com/toc/fcss20/current) and is reproduced here by kind permission of Taylor and Francis Publishing. IOC Website. 2016. Rome 1960: All Facts: Consequences of Apartheid. http://www.olympic.org/rome-1960-summer-olympics. Accessed 5 February 2016. Olympic Review. 1968. About the South African Team, No. 5, 66. http://www.la84foundation.org/OlympicInformationCenter/OlympicReview/1968/ore05/ore05l.pdf. Accessed 5 February 2016. ———. 1988. Olympism Against Apartheid, No. 249, 344. http://www.la84foundation.org/OlympicInformationCenter/OlympicReview/1988/ore249/ORE249f.pdf. Accessed 5 February 2016. Reddy, Enuga S. n.d. Sports and the Liberation Struggle. http://scnc.ukzn.ac.za/doc/SPORT/SPORTRAM.htm. Accessed 5 February 2016. South African Sports Association for Persons with a Disability Website. 2016. Brief History of Sport for Disabled in South Africa. http://sasapd.org.za/?page_id=209. Accessed 5 February 2016.